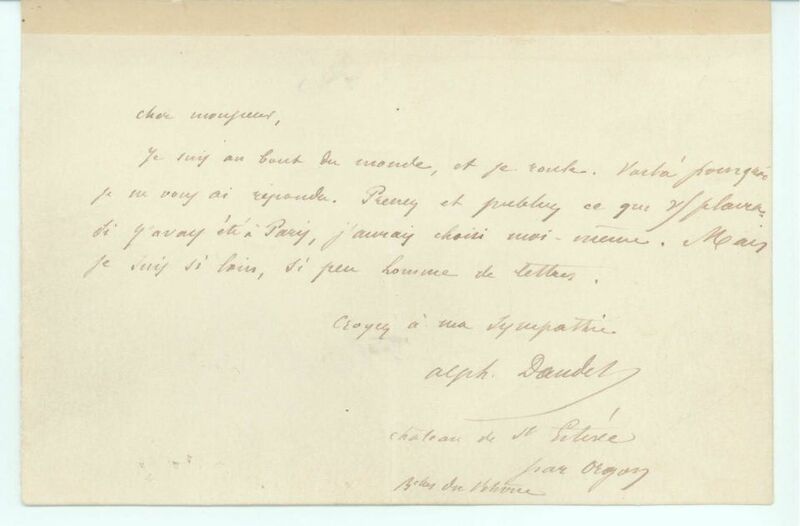 AN unsigned, in French with translation, to &apos;Monsieur Sainte Barbe&apos;, the political writer and poet Joseph Auburtin, saying "the reading is not for today. I spent the night finishing the article which I am giving to the sale for the Poles, ... and I am Dead ... Last year&apos;s was worth 1,800 fr. to them", she could not "have given a reading without you! 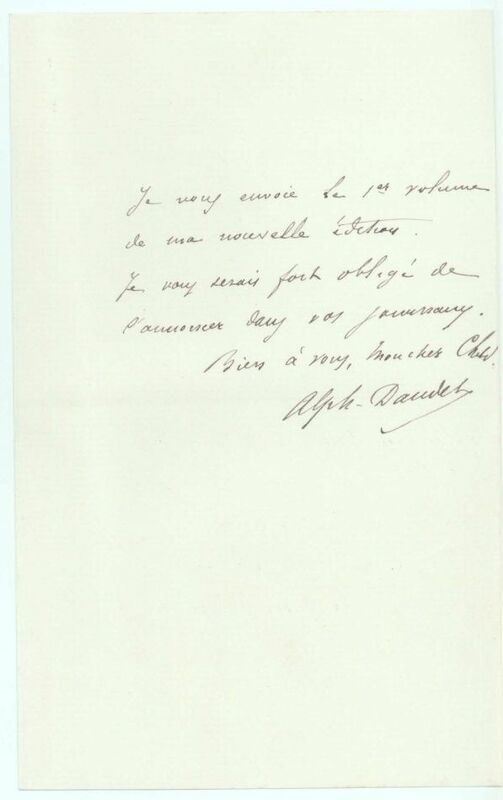 ", she asks him whether "Adolphe" has been "put out" by her making the article, "I will get down to work straight away ... and my charming old beau [&apos;céladon&apos;] makes me very happy. 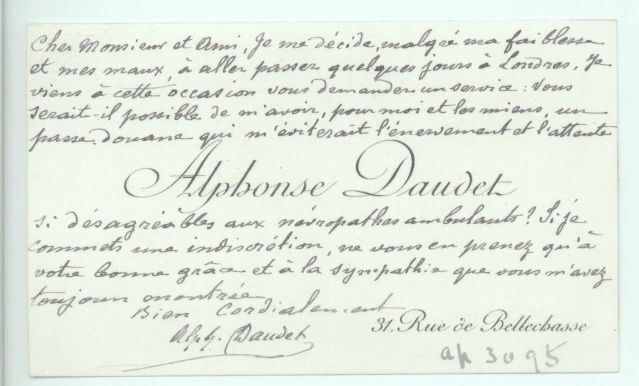 I hope he realises that", she will "ask M. d&apos;Amberieux", probably the novelist son of Pierre d&apos;Ambérieux, (1732-1821), "to come too ... bring your stories and you and they will be welcome", 2 sides 16mo with envelope front and seal on separate flap bearing crowned &apos;C.A.&apos;, no place, no date, c.
Stitched notebook signed &apos;H.C. Gibson&apos;, titled "Sources of information concerning Dante Alighieri" compiled for &apos;Mr B&apos; to use with a pupil, 16 sides 8vo., no date, c.
Autograph Letter Signed, in French with translation, to &apos;Mon cher Child&apos;, saying he is sending "the 1st volume of my new publication. 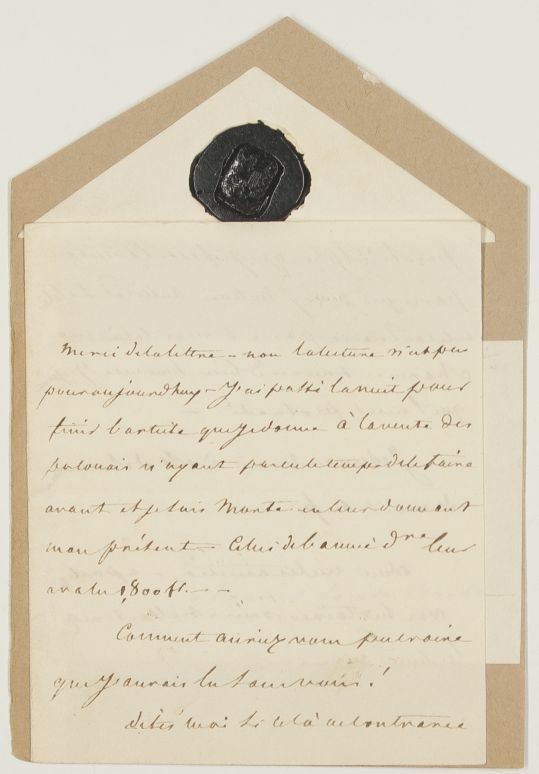 I would be most grateful if you could announce it in your journals", 1 side 8vo., no place, no date, c.